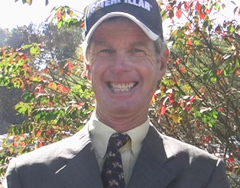 USEF “R” Rated Judge John Barker is a well respected horseman and successful trainer. Johnny and his wife Kitty have judged every major horse show on the east coast, including Harrisburg, Washington, The National (Madison Square Garden), Devon and WEF. Johnny is also a successful hunter jumper trainer, training with Kitty at Eight Oaks Inc, a premiere operation specializing in Hunters, Jumpers and Equitation with bases in Middleburg, Virginia and Wellington, Florida. Combining their passion for horses and their 30 + years experience riding, training and instructing, Johnny and Kitty have developed numerous national champion horses and riders, and are well respected in the industry.